In the previous blog, Jay Lund argued that wide-scale, integrated management of California’s water system will better balance water needs of the environment and water demands by humans. Here we expand on the need for fundamental shifts in policy to recover populations of Central Valley salmon using integrated management approaches. The Central Valley is the only place on Earth with four distinct runs of Chinook salmon (fall, late-fall, winter, and spring). Each run was adapted for different conditions and had multiple independent populations that spawned in different valley tributaries. Historically, this “diversified portfolio” included 1-2 million spawning fish per year in Central Valley rivers (Yoshiyama et al. 1998). In 2009, total returns for all four runs were just over 70,000 fish, around 5% of average historical abundance. Today, the winter and spring runs are listed under the Endangered Species Act (in 1990 and 1998, respectively), and the late-fall run is small and in decline. In recent decades most salmon returning to the Central Valley have been fall-run fish, primarily of hatchery origin (AFRP 2011). The decline of California’s wild fall-run Chinook salmon populations has been both obscured and exacerbated by massive hatchery production. Although they may look similar to wild fish, hatchery salmon are, in a very real sense, domestic animals. Hatcheries cultivate domestic genes, resulting in salmon adapted to hatchery conditions but unfit for survival in the wild under all but the most favorable conditions (Araki et al. 2007, 2008, Kostow 2009, Christie et al. 2012). Currently more than 30 million Chinook smolts are released annually from Central Valley hatcheries irrespective of the return rate of hatchery fish. As a result, hatchery production is at an all-time high while wild spawners and fisheries yields are at an all-time low. Those few hatchery fish that do return to the valley often do not return to the hatchery where they were born, but rather stray, spawning in rivers instead. Although most spawning by strays is unsuccessful, these strays interfere with the spawning of the few, if any, wild fish remaining (Johnson et al. 2012). This is a particularly important point because a wild salmon produces, on average, eight times more grandchildren than does a hatchery fish (Chilcote et al. 2011). Physical Segregation: Move hatcheries from upstream areas, where they are currently, to the bottom of the watersheds, in or close to the estuaries. This action would increase the smolt to adult survival rates by eliminating high mortality of hatchery fish in rivers and the Delta (from the more than 30 million hatchery smolts released, only 29,000 adults returned in 2009, that is less than 0.1%) while minimizing competition between wild and natural fish and limiting genetic dilution of wild gene pools. Mark all hatchery fish with both adipose fin clips and internal tags so that all hatchery fish can be visually distinguished and management can effectively minimize interbreeding. 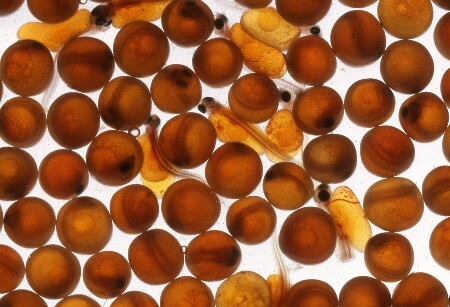 Genetic Segregation: Hatchery propagation meant to subsidize fisheries should use stocks for breeding that are as genetically divergent from native salmon as possible. Broodstock should be selected for life-history characters (especially migratory timing) incompatible with California hydrology. This action would minimize genetic dilution of wild gene pools because hybrid progeny will be unfit for local conditions and therefore unlikely to survive to produce progeny of their own. Because of the fragmented nature of the current system of salmon management, we spend tens of millions of dollars annually to produce salmon in inland hatcheries, and then spend hundreds of millions more to deal with the environmental, regulatory and legal consequences of having produced those same fish. As was suggested for water management in the previous blog, this piecemeal approach to fisheries resource management is not economically viable. Nor is this strategy viable for avoiding extinction. 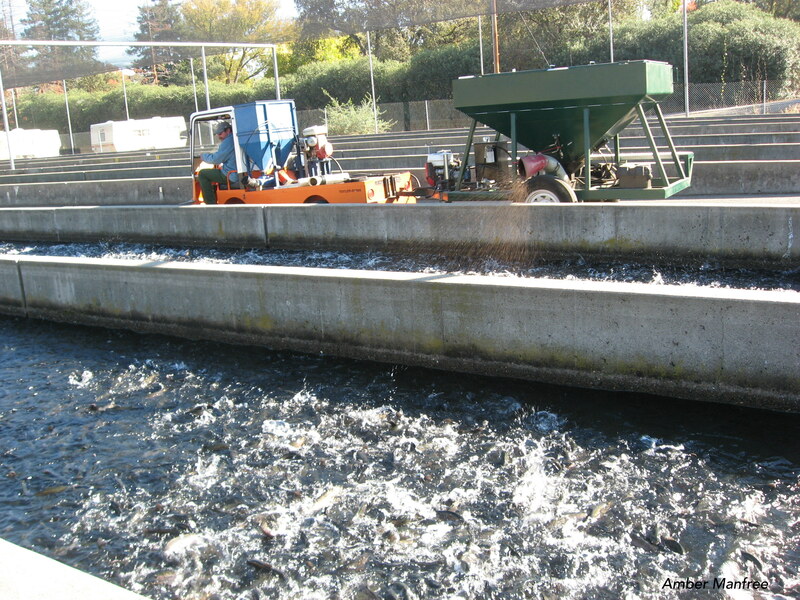 Accordingly, a comprehensive re-thinking of hatchery management must be undertaken in California and where adverse impacts to natural spawning populations outweigh benefits, hatcheries should be closed. Jacob Katz is a doctoral student in fish ecology and Peter Moyle is a professor of fish biology at the UC Davis Center for Watershed Sciences. Anadromous Fish Restoration Program (AFRP) of the United States Fish and Wildlife Service, Stockton, California. http://www.fws.gov/stockton/afrp/ accessed Feb 1 2011. Araki, H., B. A. Berejikian, M. J. Ford, and M. S. Blouin. 2008. Fitness of hatchery reared salmonids in the wild. Evolutionary Applications 1:342-355. Christie, M. R., M. L. Marine, R. A. French, and M. S. Blouin. 2012. Genetic adaptation to captivity can occur in a single generation. Proceedings of the National Academy of Sciences 109:238-242. Williamson, K. S. and B. May. 2005. Homogenization of fall-run Chinook salmon gene pools in the Central Valley of California, USA. North American Journal of Fisheries Management 25:993-1009. Yoshiyama, R. M., F.W. Fisher, and P.B. Moyle. 1998. Historical abundance and decline of Chinook salmon in the Central Valley Region of California. North American Journal of Fisheries Management 18:487-521. This entry was posted in Biology, Conservation, Fish, Planning and Management, Sacramento-San Joaquin Delta and tagged California, Central Valley, Chinook salmon, Delta, extinction, fish biology, fish migration, hatchery, Peter Moyle, salmon, UC Davis Center for Watershed Sciences. Bookmark the permalink.